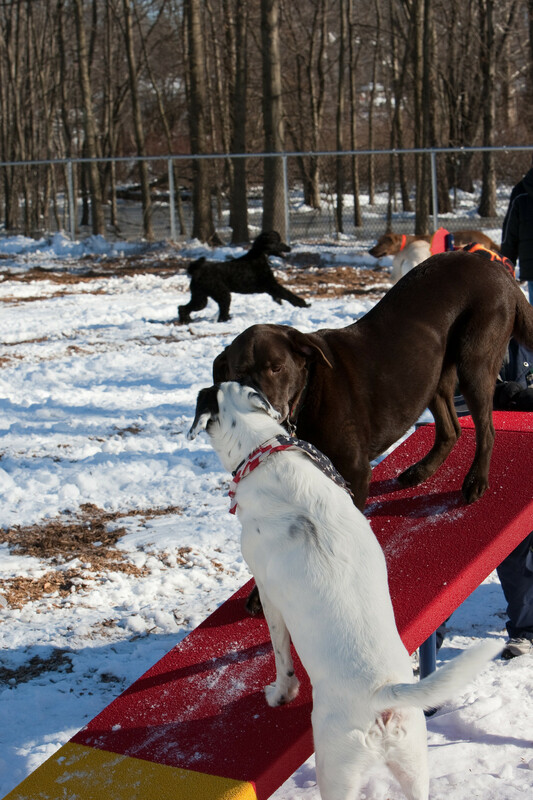 The Dog Walk Ramp is a classic dog park agility component. It requires your dog to walk up an elevated ramp, across the narrow platform and down the other side. 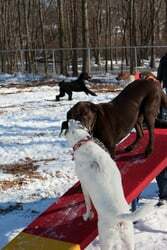 While some dogs may easily negotiate the ramps, most dogs will need some encouragement or a treat. 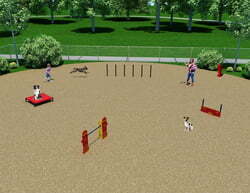 It can also be fun to encourage your dog to walk under and weave through the different sections of the Dog Walk Ramp as well. 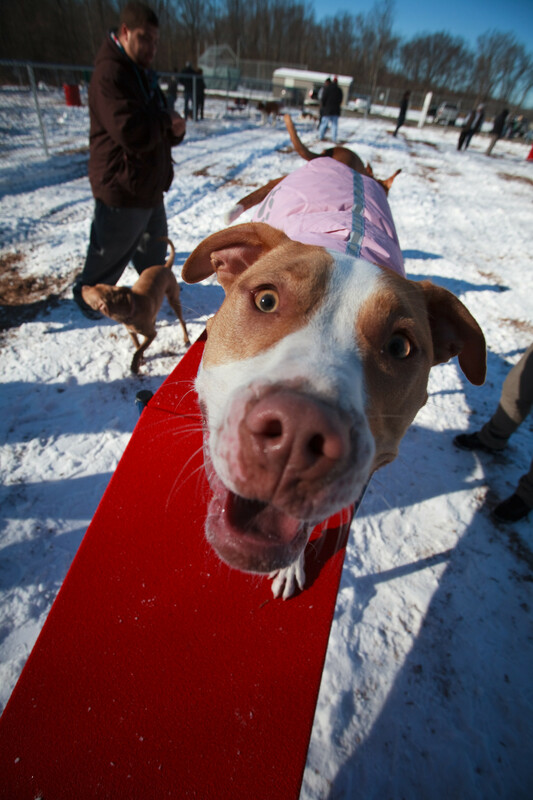 Because the ramps are relatively narrow, be sure your dog masters the A-Frame before trying the more challenging Dog Walk. The Dog Walk Ramp features two 8' inclined ramps and a 4' flat traverse, all manufactured with rust-proof heavy gauge aluminum. 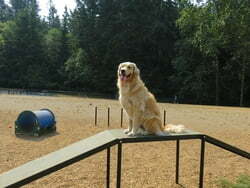 Ramp width is 20″ wide so that dogs can build confidence on the elevated surfaces. All walking surfaces are solid, free of step strips (which are unnecessary and only used if walking surface is slippery) and coated with PawsGrip, a highly textured coating to help provide slip resistance. 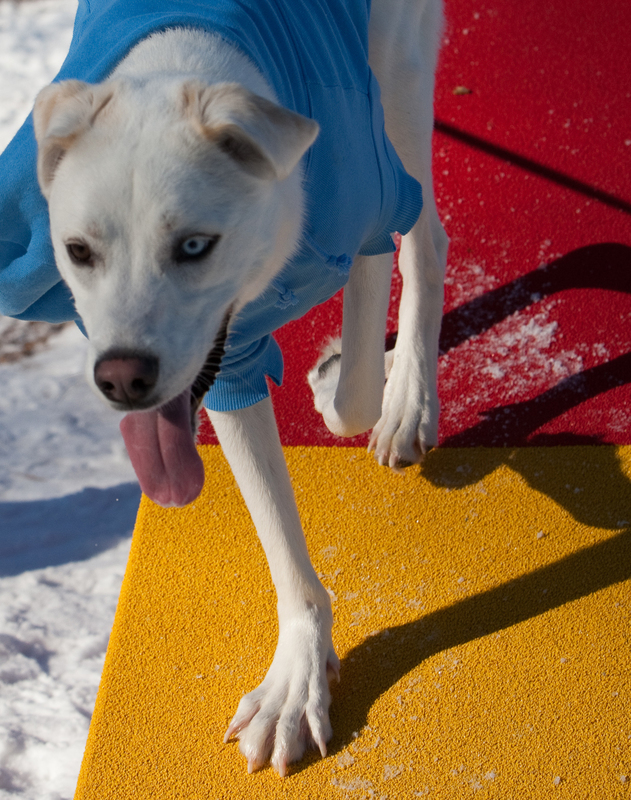 The Dog Walk Ramp is also sealed with an additional polymeric top coat (PTC) for graffiti resistance and UV protection from fading.